Many people complain about experiencing a burning sensation in throat. You may feel that irritation because of an infection or a more serious issue likegastroesophageal reflux disease. This article will discuss some possible causes for this condition, as well as what you can do to relieve it. 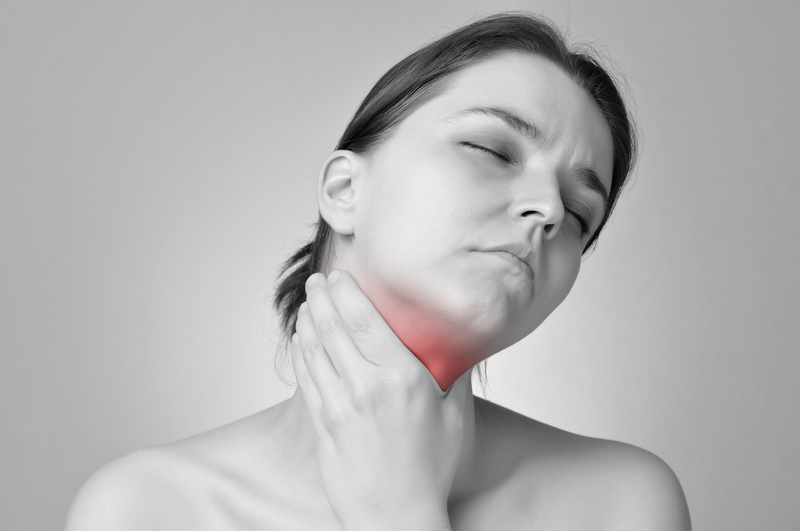 What Causes Burning Sensation in Throat? Gastroesophageal reflux disease (GERD): This chronic digestive disease occurs when stomach acids travel back up into your esophagus. This irritates the lining of your esophagus and causes a burning sensation. It is important to talk to your doctor if you experience symptoms of acid reflux or heartburn more than twice a week. Allergies: Any burning sensation you experience in your throat may well be caused by allergies. It is more common when you are allergic to airborne particles because they can irritate the throat and cause a burning sensation. Certain foods and pollutants can also cause itching, inflammation, headache, and nausea. Esophagitis: The condition refers to the inflammation of the esophagus, which causes a burning sensation in throat. You may also experience chest pain and excessive belching. Esophagitis may develop due to the excessive use of anti-inflammatory medicine, a surgery, or undergoing chemotherapy. It is also a complication of GERD. Influenza and cold: You may experience a burning sensation in throat due to viral infections such as the common cold or flu. You may also experience soreness and inflammation in your throat with additional symptoms such as a runny nose, congestion, fever, and cough. Dry throat: Dryness in your throat makes it more susceptible to irritation. This dryness may be due to a damage done to the lining of the respiratory tract that has mucus-releasing ducts. Drainage from the Eustachian tube: One of many reasons of a burning throat is to have drainage from the Eustachian tubes, which are passageways connecting the back of the throat and the nose to the middle ear. These tubes help maintain pressure in the middle ear, but the balance changes due to an infection or cold. This leads to the buildup of fluid in the middle ear that drains into your throat and causes a burning sensation. Infection: Bacterial and viral respiratory infections can also cause a burning sensation in throat. Lower respiratory tract infections may affect the trachea, bronchi, and lungs, whereas the upper respiratory tract infects attack the throat, nasal passages, and sinus. Your may have irritated throat due to infections such as tonsillitis, laryngitis, sinusitis, pneumonia, bronchitis, or flu. Burning mouth syndrome: It refers to a condition in which you have ongoing burning in the mouth without any apparent reason. The most common symptoms are loss of or change in taste, dry mouth, and a burning sensation that affects your tongue as well as your gums, lips, throat and palate. What Can I Do to Relieve Burning Sensation in Throat? You can make lifestyle changes to deal with mild burning sensation, but there are certain medications available for underlying conditions that leaves you with a burning throat. Drink plenty of water and fluids to stay hydrated because dryness in your throat will lead to irritation. Do not eat food when it is too hot. Let it cool down a bit. Also, eat scalding food when you have a sore throat. Install a humidifier in your room if the air is too dry. Avoid alcohol and smoking. Drinking alcohol and smoking cigarettes may acid reflux. Alcohol weakens your muscles and makes it easier for stomach acids to travel up into your food pipe to cause damage. Keep your head elevated at night to avoid a burning throat. When you lay down on a flat surface, it becomes easier for stomach acids to move up into your esophagus and cause a burning sensation. You can simply place a few books to elevate your pillow by 6 inches to avoid acid reflux. In addition to lifestyle changes, you can also try some home remedies to improve your condition. Baking soda may help prevent heartburn caused mainly by acid reflux. With a pH higher than 7.0, it helps neutralize stomach acids that in turn prevents burning sensation in throat. Simply mix half teaspoon of baking soda in a glass of water and drink it. Do not use this remedy for more than a week to avoid negative effects of the high salt content in baking soda. Aloe Vera has anti-inflammatory properties and helps soothe your digestive system that may be irritating your esophagus and throat. Simply drink half cup of aloe juice before meals to prevent heartburn. It also works as a laxative. Chewing on a sugar-free gum for half an hour after a meal may help reduce symptoms of GERD. It is mainly because chewing stimulates your salivary glands and encourages the production of saliva that makes digestion easier. Drink gingerroot tea to calm down your tummy and prevent acid reflux. Simply take 3 quarter-sized slices of gingerroot and simmer them gently in 2 cups of water. Cover for half an hour and then remove the ginger pieces. Leave them for a while and then drink it about 20 minutes before your meal. Try a throat spray to reduce throat irritation. Some throat sprays such as Chloroplasts have antibiotic and numbing properties, so they help reduce pain and clear infections as well. To use them properly, you need to stick your tongue out and then spray your throat. Using throat lozenges may also help deal with irritated throat. You can find several over-the-counter lozenges for relief. Opt for sugar-free ones only and look for those contain menthol or eucalyptus for better effect.